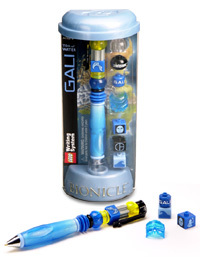 P1701 Pen Pack Gali was a BIONICLE pen released in 2001. It features a pen with several additions. Facts about "P1701 Pen Pack Gali"
This page was last edited on 9 January 2016, at 02:25.